These activities will help you learn more about paper products and recycling. 1) Use the questions below or develop your own and forward them to companies who use paper products. How many tonnes of paper does it take to make all of their telephone books? What are the benefits and drawbacks to using recycled paper products? Think of costs, truck pollution, reduced waste, labour etc. Is recycling likely to increase or decrease? Why? 2) Call or e-mail the public relations department of a fast food company, corporate office downtown or a newspaper company and ask the following questions or suggest your own. What kind of paper products do they use in their packaging? How much paper is used in a year? How much of the paper used is recycled and where is it obtained? 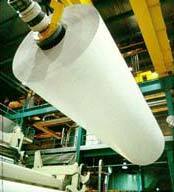 What steps are taken to ensure that paper is produced in an environmentally responsible manner? How is paper reused so that fewer trees are cut? How many copies can their best machine handle in a lifetime and how much would that paper weigh? How is photocopy paper recycled? How much paper per year is recycled at your company? How many e-mail messages are printed on paper by the average person? How many e-mail messages are sent in North America in a year? How does your school maximize the use of paper and minimize waste? How much does your school recycle? Acid rain is rain, snow or fog that is polluted by acid in the atmosphere and damages the environment. Two common air pollutants acidify rain: sulphur dioxide (SO2) and nitrogen oxide (NOX).